This is my simplified guitar lesson of this very popular pop song by The Rolling Stones from their 1973 album Goats Head Soup. 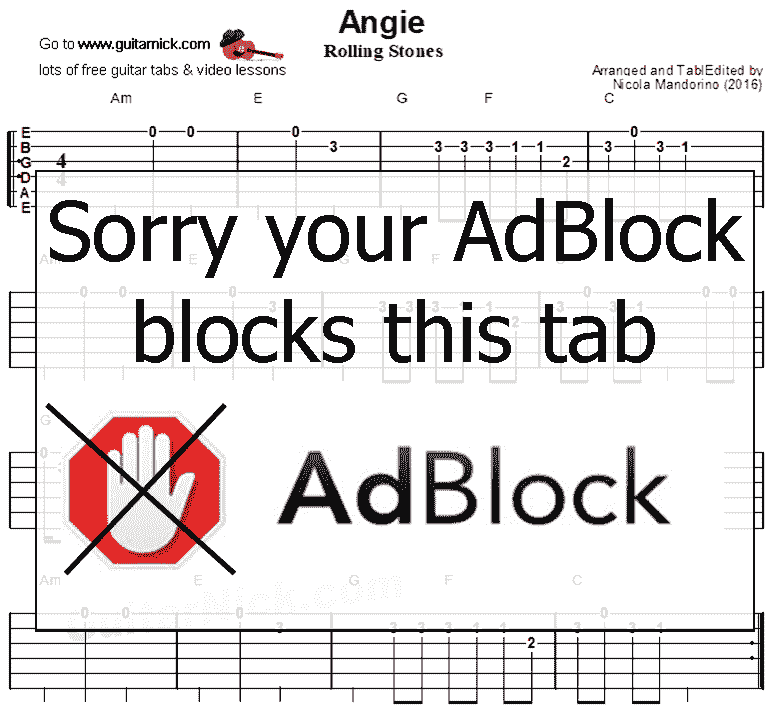 Learn to play the song with my guitar tab, sheet music, chord progression, backing track and my video tutorial on YouTube. 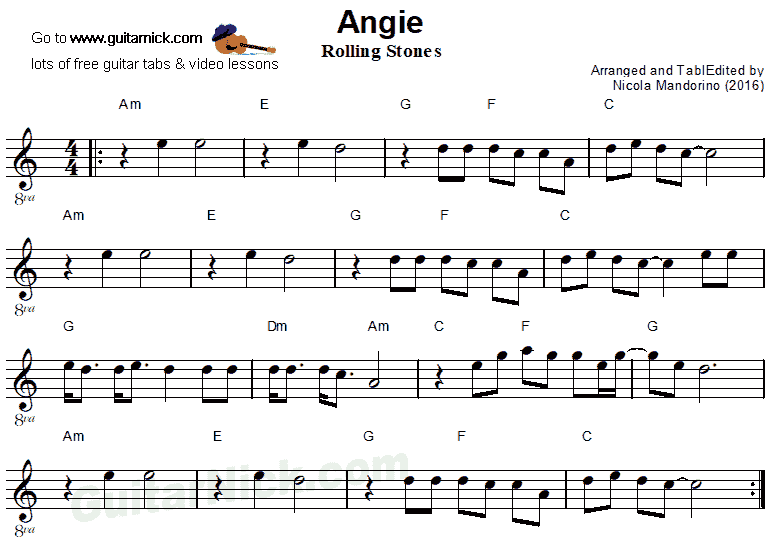 Chords: the chord progression for this song is easy with many chords played in first position, Am-E-G-C-F. To play the accompaniment part I used only my right hand thumb and index to strum the strings. Solo: I arranged the theme in A minor scale in first position, this made the melody easy to play with many open string notes.